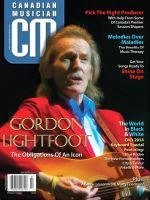 Canadian Musician magazine has a FREE Downloads page that features the best articles from past issues of the magazine. Each download is a collection of articles devoted to individual pieces of the musical puzzle. Tips for recording, indie music, bassists, guitarists, keyboardists, songwriters, woodwind players, brass players, percussionists, vocalists, digital music, the music business, live sound and advice for audio professionals. Click here for the Free downloads page and then click on the particular subject link to download those featured articles. You can also read the current and back issues of the magazine online in digital form. Click on the link to select CM Online and then select the issue you wish to view. Labels: best articles featured from past issues, Canadian Musician magazine, CM online edition, free downloads page, July August 2014 issue.